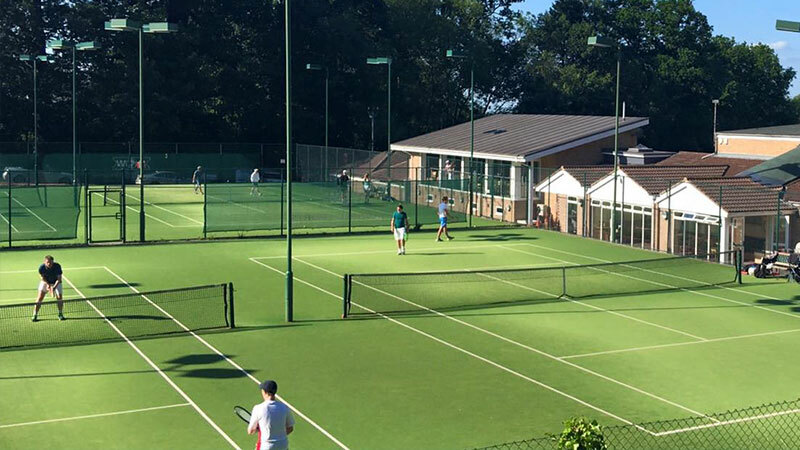 Nestling under the picturesque backdrop of the Malvern Hills, the Manor Park Club, which celebrated its centenary in 2007, offers excellent playing and coaching facilities on a variety of surfaces including 3 indoor acrylic courts. The club caters for all ages and standards with a high number of teams competing in both county and national leagues. The teams are always keen to welcome new members. Equally welcome are players who wish to join in at a social level. 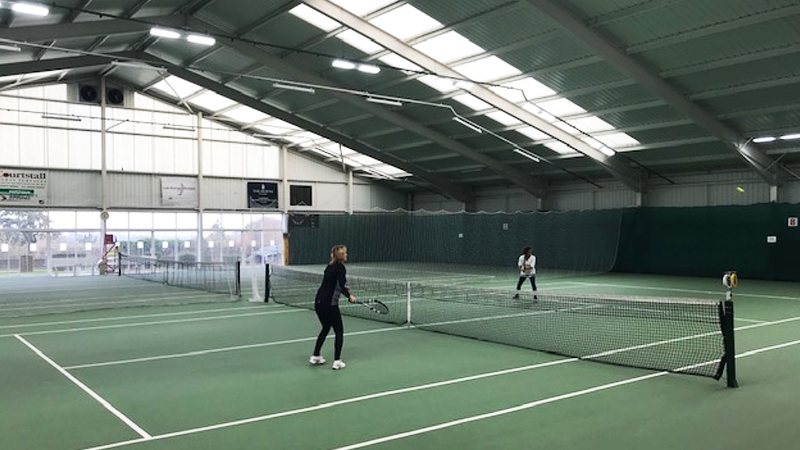 Indoor tennis at Manor Park is available at MACIT (Malvern and County Indoor Tennis), a joint venture between Manor Park and Hereford and Worcester LTA. There are 3 Synpave spring cushioned acrylic courts which are available for booking by Manor Park members. The original 2 court facility was upgraded in 2010 with the addition of a 3rd court and much-improved viewing facilities. The new facility was officially opened on 16th November 2010 by Tim Henman OBE. The opening was also attended by the President of the LTA, Derek Howarth. 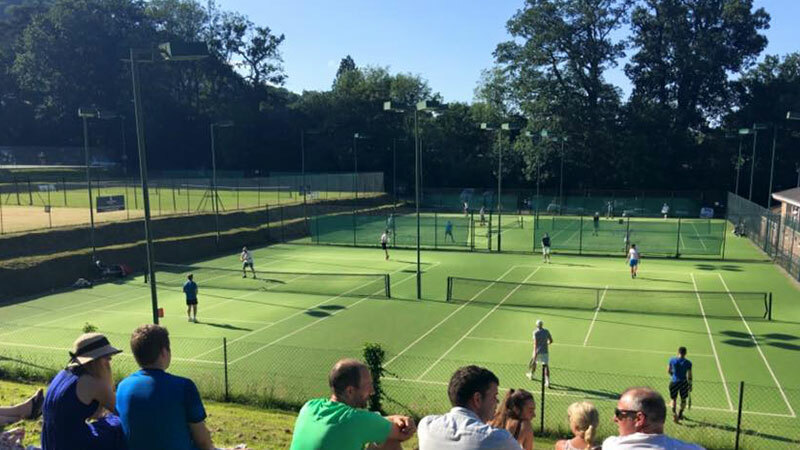 We are a thriving club with easy access and an excellent range of playing facilities allowing the club to serve as the Herefordshire and Worcestershire County Centre. Our Cafe Bar overlooks our show tennis courts with the Malvern Hills as a spectacular backdrop. On-site parking is available for over a hundred cars. The Clubhouse offers changing facilities, meeting rooms and a kitchen. The club office is open on weekday mornings. Tennis membership includes tennis outdoors and indoors. 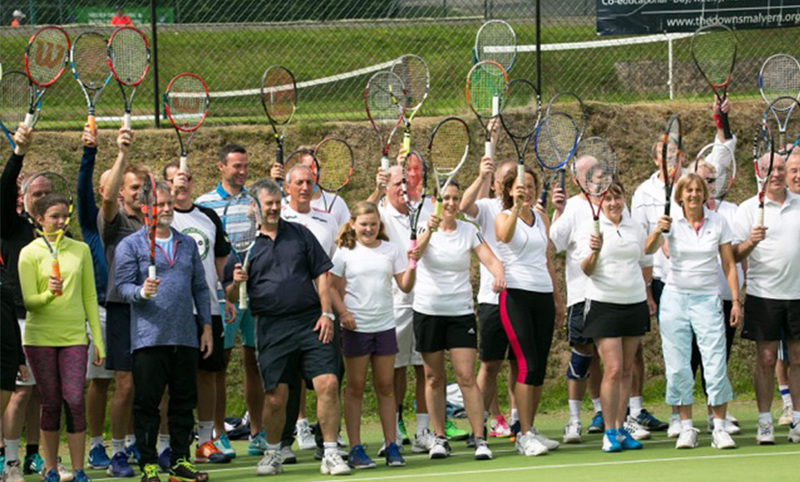 Rackets membership includes tennis outdoors and indoors and squash & racketball. Court fees are payable on indoor tennis courts. Subscriptions include tennis and squash national association fees. Membership runs for 12 months from the date of joining. Country membership (over 30 miles away) is available by application. Junior membership categories are 10 and under, 13 and under, 18 and under. There is a youth category: 25 and under. Graded membership fees apply to these age categories. Manor Park offers genuine year-round tennis for all abilities in a friendly welcoming atmosphere. 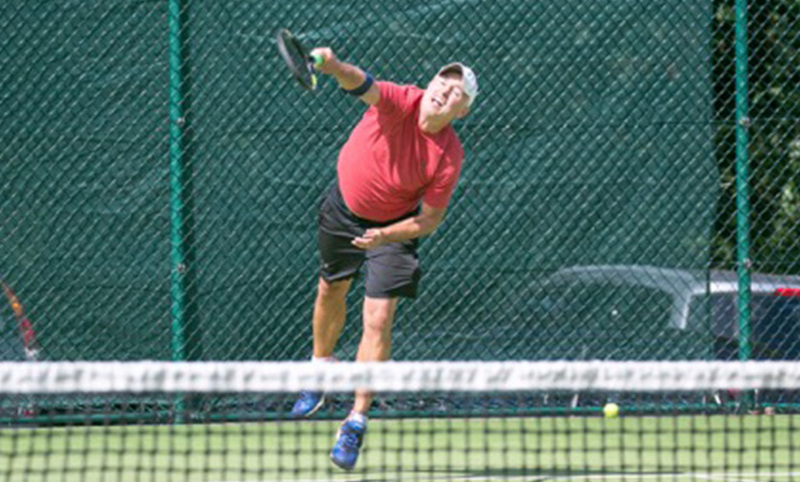 There are wide-ranging opportunities for all ages to get involved at all levels of play from social doubles to both senior and junior national and county leagues. The club also offers a wide range of coaching for all ages and abilities. Free taster sessions are offered to prospective members who are welcome to contact us to arrange a visit. Members are welcome to entertain their visitors at Manor Park. The court fee for visiting adults is £2 and for juniors £1. Payment should be made at the club office or the Cafe Bar. A visitor is limited to three visits within twelve months. ‘Pay and Play’ is available for non-members for play on two of the floodlit acrylic courts at a fee of £5 per court per hour. Tokens to access the courts should be obtained from the club office or the Cafe Bar. Rackets and balls can also be hired. All players must wear suitable tennis footwear on the court. Teams compete over the range of county leagues in both summer and winter including teams in the top men’s, ladies’ and mixed divisions. Club Tournament is the main internal competition. Competition days are held throughout the summer. Click here to see summer and winter fixture cards. For juniors, there are tournaments and age-related county events. 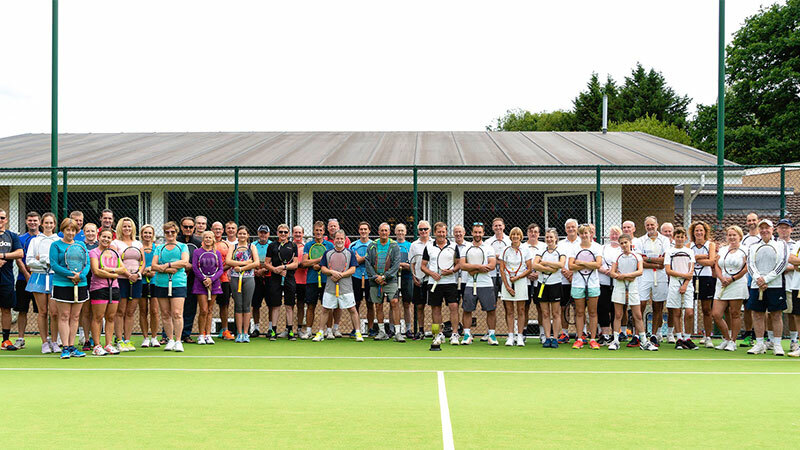 Click here to see the results of Herefordshire and Worcestershire County League results for Men’s Women’s and Mixed teams. This covers all club teams in the leagues and includes latest league table positions. 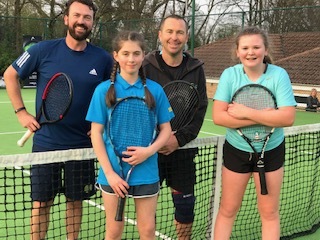 The club is fortunate in having an excellent team of Lawn Tennis Association Accredited+ qualified tennis coaches from Malvern Tennis Academy who provide coaching for all ages and standards from 3 to 93 in both individual and group sessions for both development and performance players. Details of how to contact Alison are on the Club Noticeboard and in the Member’s Area. Alison is a keen tennis player and has been a member of Manor Park for around thirty years. She is a “mostly” retired medical practitioner and has experience of safeguarding and welfare issues. Please feel free to approach Alison if you have concerns or worries about safeguarding and wish to discuss them further.